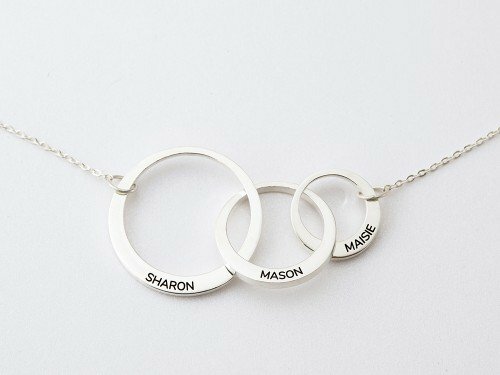 A popular gift for moms and grandmas alike, there's a reason this russian ring mother necklace is also called family necklace. 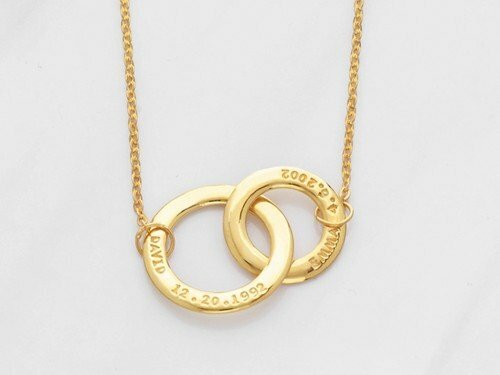 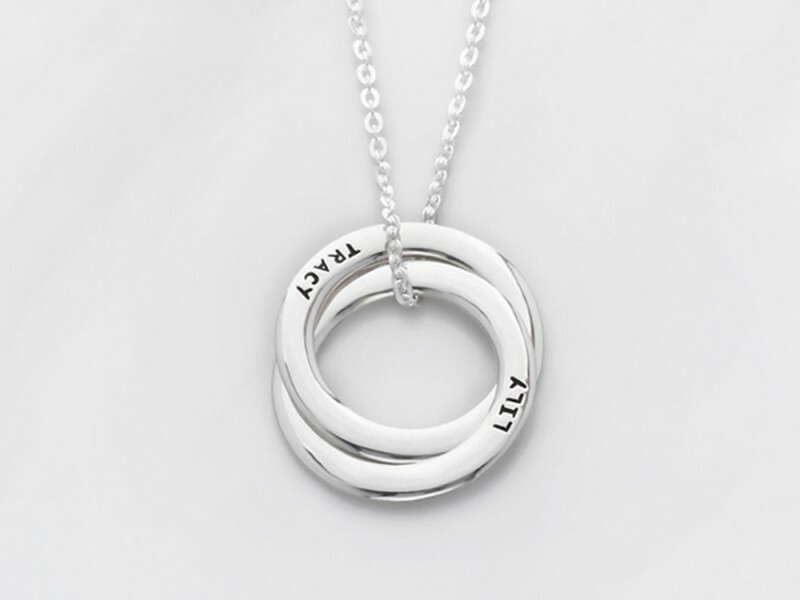 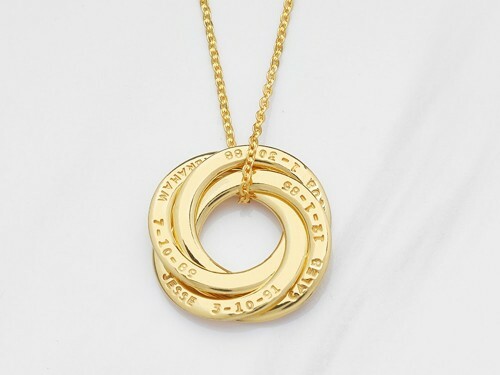 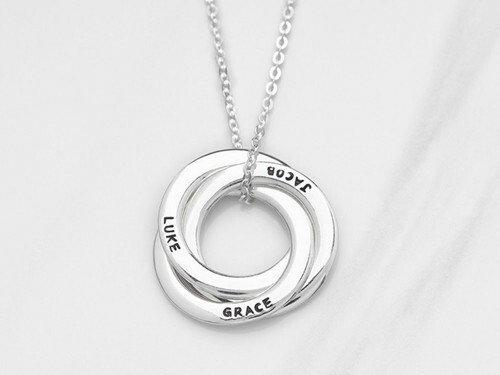 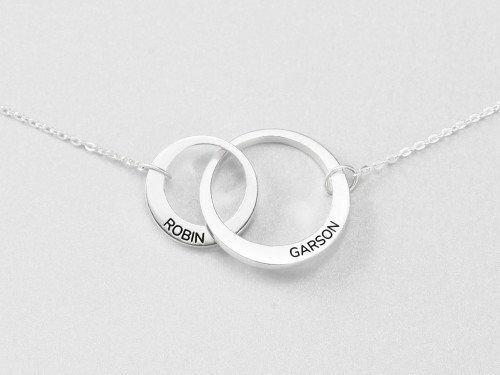 A symbol of everlasting love, this necklace features 2 intertwined rings, each hand-stamped with a child's name and/or birthday. 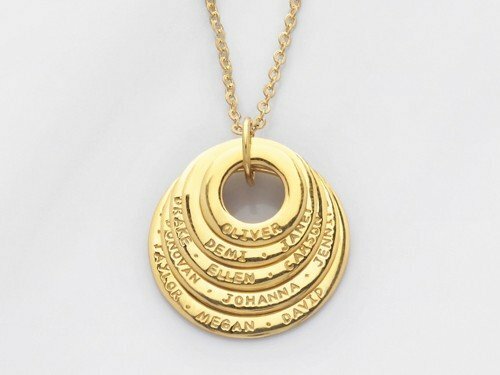 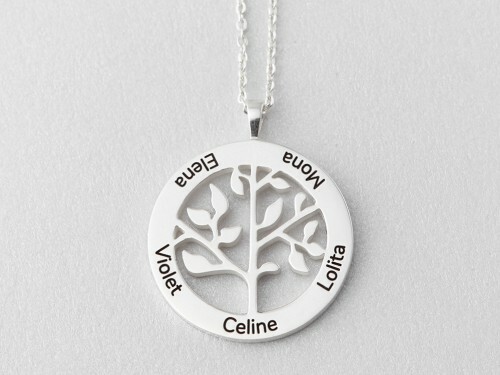 Perfect way to hold your children or grandchildren's names dear to your heart.